Brisbane Removals and Storage is the best storage alterative in Queensland using secure shipping container storage. Brisbane Removals and Storage offers low cost removals and storage in Brisbane with competitive costs for that small or that large move. 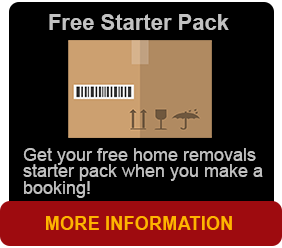 Brisbane Removals and Storage offers a full range of removal and storage services. Whether you are relocating house, office or factory Brisbane Removals and Storage has everything to offer you in moving and relocating you and your family. Relocating is an important event in your life for anyone. Brisbane Removals and Storage will ensure your personal move will be as stress free and enjoyable to you and your family as possible. 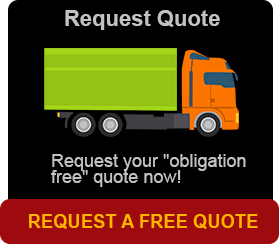 We are one of the biggest independent owner-operated removal and storage companies in Australia. We look after you all the way and with a passion for quality service, Brisbane Removals and Storage has the resources and the professionalism to tailor the move to your individual needs. We offer our removal and storage services nationwide, and with more than 20 offices and agents in Australia in every capital city and major satellite cities such as Newcastle and Launceston in Tasmania. If you are seriously looking for a No.1 removal company that can guarantee a local move in every area and wherever you are, call us now. Brisbane Removals and Storage throughout Queensland, and also with our local offices we can always ensure a friendly, good value service that will suit your specific needs. We can also provide 5-star quality assistance with our containerised storage, and with our network of warehouses and depots around Australia, we offer also a professional packing and pre-packing service that will keep your treasured belongings safe during your move. We usually have 2 experienced girls or guys that are experience in packing and unpacking your possessions on the day. These staff members take pride in their work and are not contractors. They are employed by us and trained to pack valuables which sometimes have a value of up from $100,000 like statues and works of art. Rest assured that are services are world class. Whether you and your family are moving to China, New Zealand, Europe, or Africa, Brisbane Removals and Storage can take you anywhere in the world. We provide international removal services, relying on our vast network of international partners. Through the international moving and relocating network, we can offer international containerised storage, and international shipping and freight services. If you need an office removal, Brisbane Removals and Storage can guarantee a professional local service anywhere in Brisbane. Brisbane Removals has the expertise and knowledge to assist with all your moving services for employees relocating within Queensland or moving to overseas work such as fly-ins. With a large network of overseas contacts, we can ensure the move is completed and finalised smoothly throughout the moving and relocation process. We provide moving services to companies, organisations and businesses of all sizes and statutes, and will tailor-make your move to suit your needs. And if you are requiring document storage or record management storage and maybe archive storage, we have the storage area at our Darra, Brisbane location. If you need storage space in Brisbane, Brisbane Removals and Storage can offer a wide range of local and interstate storage facilities. If you need to store a small or a large amount of personal treasures or the whole contents of a large home, factory or office, you can choose from one listed on the web site. We also have modern security systems and you can always be reassured that your precious items and belongings are safe and sound at all times. We recognise there’s a wide range of removal businesses around Brisbane so if you have any questions pertaining to removals and storage or in need of help what direction to take, contact us now.